Legal scholar and governance expert Henry Kwasi Prempeh succeeds retiring E. Gyimah-Boadi, who will continue as executive director of Afrobarometer. The Board of Directors of Ghana Center for Democratic Development (CDD-Ghana) is pleased to announce the appointment of Professor Henry Kwasi Prempeh as the new Executive Director of the Center. Professor Prempeh’s appointment, which takes effect from February 1, 2018, follows the retirement of the Center’s founding Executive Director Professor E. Gyimah-Boadi. 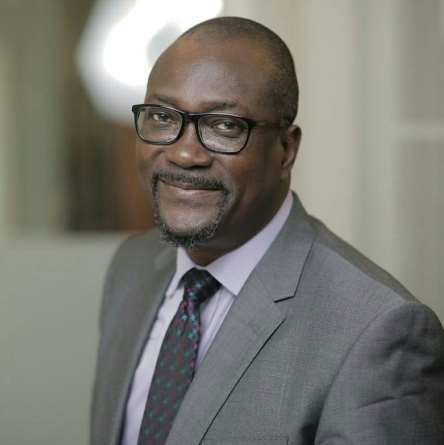 A legal scholar and governance expert, Professor Prempeh brings to his new role a wealth of experience and knowledge from a rich and diverse career as a civil society leader, an academic, a lawyer, a corporate manager, and a consultant and policy adviser. He has been a member of the CDD-Ghana board since the Center was founded and served as its first director of legal policy and governance and co-editor of its quarterly Democracy Watch from 2001 to 2003.